When an individual buys a new home, one of the first things that they usually discover is that they will need to protect their investment. From making sure they call a plumber for bathroom and kitchen repairs to inspecting the roofing for wear and tear, the main responsibility is left on the shoulder of the buyer. While some of the problems that a home owner encounters may be minute, others can be major. Therefore, it is essential that the homeowner learns everything that they can about inspecting and maintaining a home properly. Specifically, as it relates to problems that can completely compromise the structure of their home. One such problem involves identifying and taking care of slab leaks. Its not uncommon for people to become very concern when they find out that there is a such thing as a slab leak. Since a slab leak will directly impact the actual state of the home itself, this is not a problem that a homeowner wants to have or discover when it is to late. Therefore, one of the first that an individual homeowner will need to know is what causes this kind of leak. Based on information from various reputable resources, a slab can be caused by a diversity of malfunctions in a home. A few of the more common consists of pipes moving slightly under the concrete of the home, lighting strikes that affect the plumbing pipe ground, and other activities that can affect how water affects the foundation. Due to the importance of identifying this problem early, homeowners will need to know how to identify a slab leak. So, here’s a few symptoms that can assist the owner with these concerns. Symptom #1 – If a homeowner hears sounds like running water under their home, but they do not have their faucets on, they may want to have an inspection for a possible slab leak. Symptom #2 – In some cases, the owner may start to notice mildew underneath the carpeting. Which is also a sign of a slab leak. Symptom #3 – Bubbles in linoleum floors or cracks in tile floors are also indications of a possible slab leak. The time that it takes to repair a slab leak can vary from one situation to another since the damages may be minor to major in nature. 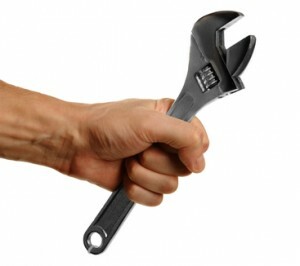 Therefore, it is important to get an inspection as soon as possible to repair any plumbing problems etc. 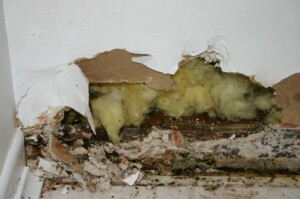 and other damage that compromises the structure in the home. For instance, minor plumbing problems may take approximately 2 days to complete. Are you seeing signs of a slab leak in your Bellingham home? No time to waste here, Call Eagle Plumbing and Heating at (360) 318-9999 to see what is causing that slab leak.